CAROL COETZEE, CEO of the KZN Film Commission says that her professional journey has developed over time and most importantly she has learnt to breathe. Coetzee says, "Over the years I have always being willing to charter the unknown and take on new challenges. I was very fortunate that people like Sipho Shabalala, Zweli Mkhize and Mike Mabayakhulu have had faith in me and were willing to take a chance on my abilities." This journey saw her working as the Accountant General for the Province of KwaZulu-Natal and then as Head of Department (HOD) for the KwaZulu-Natal Department of Economic Development and Tourism. She added, "I have loved the challenges that have come my way." Coetzee said that a highlight of her career has been qualifying as a chartered accountant. She said, "All CAs will remember the day the Board results came out and they qualified." Other highlights have included being involved in the development and implementation of the Public Finance Management Act (PFMA). Coetzee added, "The School Nutrition programme was also very close to my heart and made me really understand poverty and what it means to be given a meal each day and the negative impact poverty has on the ability of those affected to learn on an empty stomach." "Part of my personal growth has been learning to listen to various views and to come to a balanced decision through that process. I ensure that I am honest and transparent in all dealings, which means that I have had to deal with tough truths at times. I've also learnt to say NO - you have to stand by your principles and not allow anyone or anything to impact on your integrity. This requires diplomacy and consistency in your approach as well as remaining professionally calm at all times. I have also had to learn to let go and understand that once you reach a certain level, you may not always obtain physically tangible results but your efforts could have resulted in a new strategic partnership. The heavy demands of being HOD as well as a single mother of two young daughters meant that Coetzee chose to take to take a step back in order to spend more time at home and have regular working hours. She said, "Finding the balance between home life and my professional life was the driving factor for resigning from the HOD position after five years, despite the fact that my contract had been renewed. My girls were at a young age and as a single parent I realised that they needed me more than I needed to develop my career." Coetzee commented that the shift in career took a lot of adjusting to and the realisation of things that had been taken for granted, such as having her own support staff of four to having none. Moving on to the responsibility of building the KZN Film Commission from scratch, Coetzee said that she has been able to bring a new perspective to the industry. "I've had to draw on all my private and public sector experiences as well as my financial logic to inform the entire development of a new entity that is governed by the public sector but run professionally. I've applied these skills to a creative and more relaxed environment, which has been fun," she said. Coetzee would like to see more openness in discussing how to address transformation in South Africa. 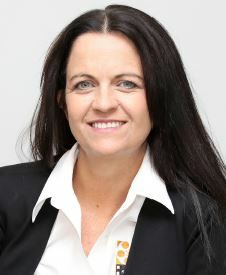 She added that there are many misconceptions about what B-BBEE is trying to achieve and what it means to businesses. In addition, she would like to see an increased number of platforms for businesses to engage with one another in order to create partnerships for growth. She said, "It's important to grow the cake and build synergies instead of everyone protecting their slice of a shrinking cake." Coetzee is part of a family of four siblings and grew up in Pietermaritzburg. She concluded, "I love the outdoors - the beach and the wilderness - I don't enjoy spending leisure time in large cities or shopping malls! I also love riding mountain bikes through the bush. I read widely for relaxation from Wilbur Smith to Francine Rivers.